The senior, who is headed to UC-Riverside on a track scholarship, continued his recent run of success by sweeping the 110-meter hurdles (14.61 seconds) and the 300 hurdles (38.24) at the 30th annual Top 8 Track and Field Classic at Los Gatos High. Guenther held off a charge by rival Mike Skinner of Alvarez after the last hurdle in the 300. Guenther's times were personal bests and rank No. 1 in the Central Coast Section this season. "As soon as football season ended, Peter was putting in a lot of work on his own," Gilroy Coach Jeff Myers said. 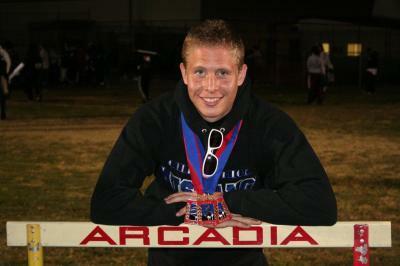 "The Arcadia Invitational gave him a taste of the state-meet type of atmosphere and he has really committed himself." Guenther's goals are to sweep the hurdle events at the CCS meet and earn a spot in the 300 hurdles in the state finals where he hopes to medal with a top-six finish. Events: Shot put and discus. Class: Junior. McKee won the shot put (42 feet, 5﻿1/2 inches) and discus (125-10) at the 30th annual Top 8 Track and Field Meet at Los Gatos High. The junior is coached by her father, Ron McKee, who was a Central Coast Section shot put champion at Camden High in 1978. "Meagan has a great genetic build for her events; she chose her parents well," Ron McKee said with a laugh. 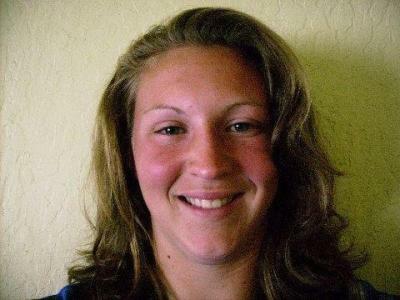 Meagan has always been a good athlete — she played tackle football at the Pop Warner level and was a member of the Santa Teresa frosh-soph team as a sophomore before she quit to concentrate on throwing. This season she started spinning on her shot-put throws instead of using the glide approach and has improved her marks. McKee's best marks of 44-5 in the shot put and 131-8﻿1/2 in the discus are tops in the CCS. Among juniors, her shot-put mark is No. 1 in California and fourth in the nation.